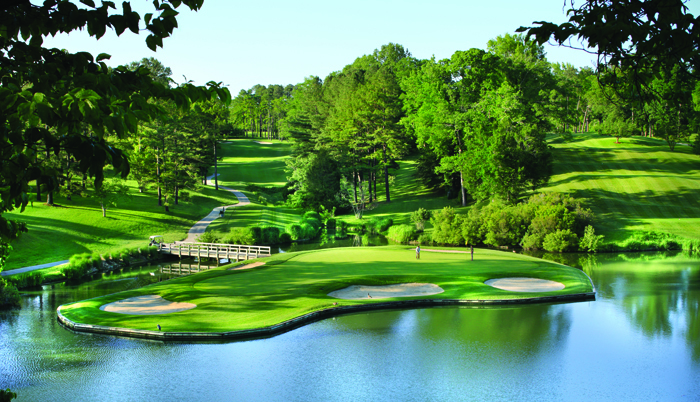 Play both the Golden Horseshoe's Award winning golf courses on your next Williamsburg Golf Trip. Book your Golden Horseshoe Combo Golf Vacation through Virginia Golf Vacations and receive additional savings when playing both Golden Horseshoe Courses. Add the Rees Jones designed Viniterra Golf Club in nearby New Kent and you have what we call the Jones Collection! Robert Trent Jones has stated the Gold Course is "his finest design." This true classic is consistently among the nations best, ranked in Golf Digests "top 100 places you can play" and it got even better in 2017. The Gold course re-opened in late 2017 after an extensive year long renovation that included new greens and new bunkers. The Green Course opened in 1991 and was immediately recognized as one of the top new resort courses by Golf Digest. Virginia Golf Vacations works with a wide variety of accommodation partners including Colonial Williamsburg's Woodlands and Lodge properties that offer daily transportation to the Golden Horseshoe courses. Within 20 minutes are several other hotel and resort accommodation options and 9 more championship courses in the surrounding Williamsburg area.